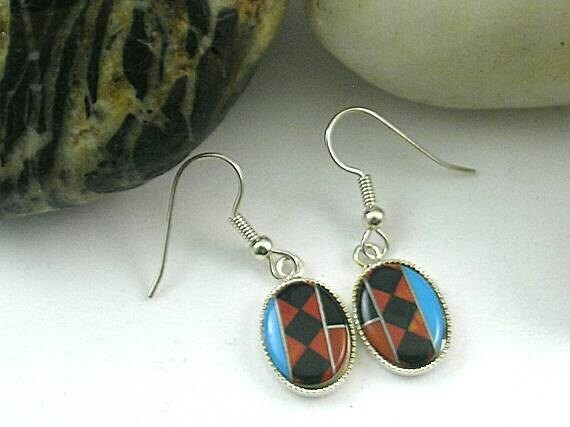 An earring with a 14 x 10mm inlay cabochon in a bezel pendant. 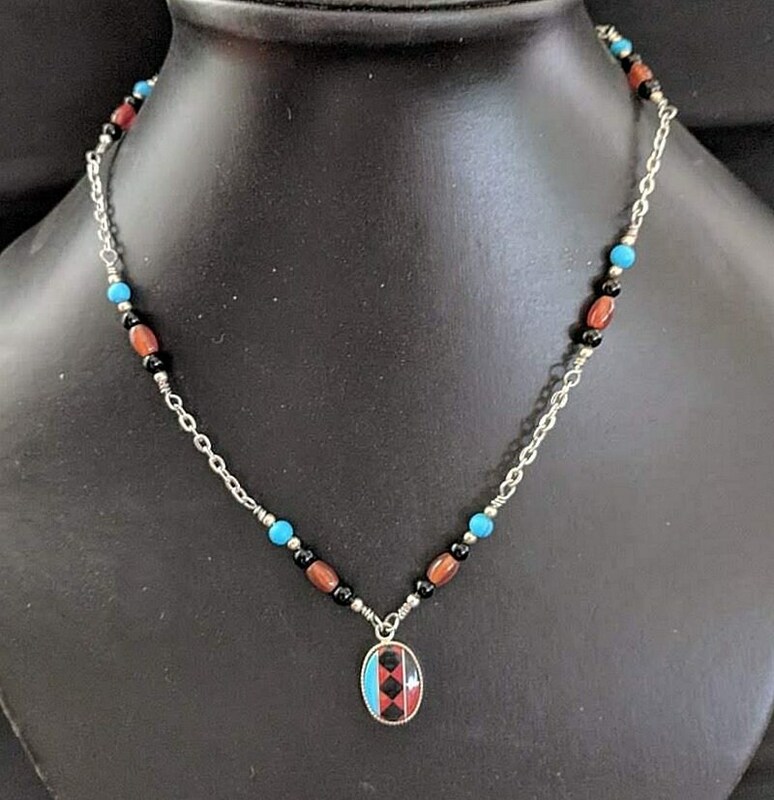 It is inlaid with coral/turquoise/onyx in a traditional Native American design. The pendant hangs from surgical steel ear wires. Overall the earring measures approx. 1 1/2" or 38mm from top of ear wire to bottom of bezel. Earrings Only! 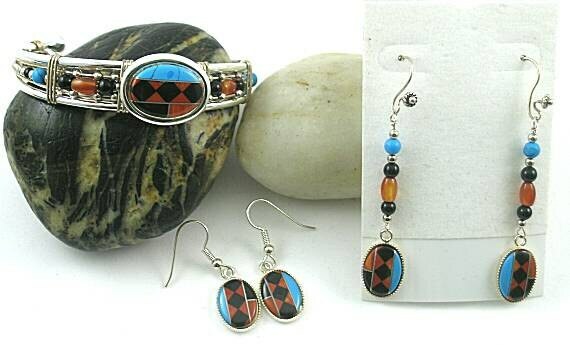 Matching inlaid bracelet cuff and necklace are for display only and are listed separately (See last 2 pictures).